It’s often been said that if slaughterhouses had glass walls we’d all be vegetarians. But, that gives rise to another question: what about actually slaughtering the animal yourself? Would you eat meat if you had to kill the animal yourself? When it comes to pork, there’s a high price to be paid by the workers, by the environment, and perhaps worst of all, by the pigs themselves. The scale of the problem is enormous. We raise 120 million pigs each year in the US, and many millions more are raised around the world. The seafood industry in Thailand suffers from widespread worker abuse amounting to slavery, according to a recent report by the nonprofit organization Verité. Virtually all American and European companies that buy seafood from Thailand are at risk of receiving products tainted by slavery, according to this report, which was released on Monday. The report catalogs deceptive recruitment practices, hazardous working conditions and very severe violence on fishing boats and in processing factories. We reported on this sad state of affairs two years ago with the hope that conditions would improve. The Thai ambassador to the US says they take the problem seriously, but while they have clamped down a bit, it’s still not nearly enough. Other human casualties of the animal products industry include those who work in slaughterhouses. While there’s no suggestion of slavery, slaughterhouse workers also face well documented abuses and very dangerous working conditions. It’s Labor Day, so don’t forget the workers. We’ve often written in the past about the health, environmental and animal welfare problems associated with meat production. But at this time of year, let’s take a moment to remember the workers who often face very exploitative and harsh conditions in that industry as well. 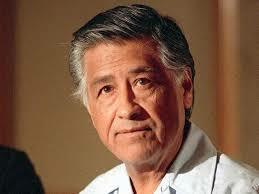 Please visit our posts on slaughterhouse workers, fishing boat workers and the famous labor leader Cesar Chavez to learn more.